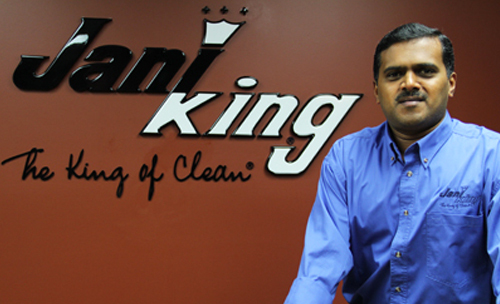 Jani-King of Eastern Ontario is thrilled to welcome Tracy Denneny as their newest franchisee. Tracy has taken on the Cornwall territory, and sees a great future with Jani-King. Being a resident her entire life, Tracy has deep community ties and appreciation for the town of Cornwall and what it can offer in the way of both commercial growth and small town feel. She feels she has the best of both worlds in her community. She started a business that specialized in home staging and prepping, as well as a keen eye for what looks good. Her business also handled property management for clients including janitorial services. It was this experience with the janitorial side of her business that made an ad for Jani-King in the local paper catch her eye. Tracy reached out Jerry Silveira, Eastern Ontario’s Master Franchisor, and realized the business model had a lot of backing in both brand recognition and structure to offer for someone with a strong work ethic and big ambitions. She started her training with the Jani-King family back in March, and has completed her training since. Utilizing the SmarterU online learning software that Jani-King offers, she was able to learn quickly and on her own time a great deal of the skills and knowledge required to run a successful commercial cleaning business. 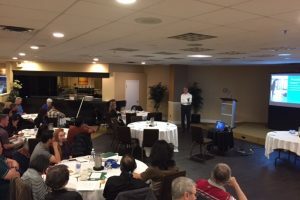 Additional hands-on training sessions also gave her the security that the Regional office was there for support and advice when she needed it. Starting out, Tracy will be running Jani-King as an after hours business and remain with her full-time job during the day. She sees Jani-King as an opportunity for her to build a solid career and create the work/life balance most Canadians strive for. She has been thrilled with the growth she has seen; signing two accounts and already taking on three employees to help with the demand.